Content creation and distribution – Content should be the foundation of any inbound marketing strategy. Create content that answers the basic questions and needs of prospects and customers and then focus on sharing that content as far and wide as possible. Lifecycle marketing – Promoters of a company’s content begin as strangers. These strangers will become visitors, then turn into contacts and finally become customers before turning into promoters. This is known as lifecycle marketing. Personalization – Content needs to be tailored to those that are reading it. Over time, companies should learn more about their buyer persona as well as their specific lead types, allowing them to better personalize their message in order to fit the specific needs of the consumer. Multi-channel – Inbound marketing is all about creating a presence where the audience is in order to attract them. This means that an online presence must be established on multiple channels, from the website to the blog to some of the many social networks that are out there. 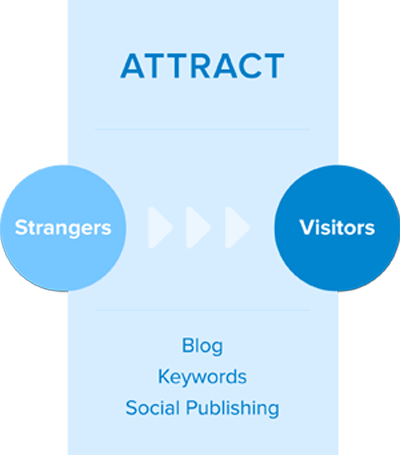 Integration – Inbound marketing consists of numerous strategies and content creation is only one of them. To truly be successful, these strategies must be used together in order to compliment one another. What are the Four Marketing Actions? SEO (search engine optimization) – The buying process begins with the consumer doing a search online. One of the goals for every company should be to be featured on the search page when a consumer does a search relevant to their company. This is done through search engine optimization. By carefully choosing keywords, creating content, building links and optimizing their webpages, they can increase their web ranking and thereby increase their website’s exposure to consumers. The website – The website is basically the digital storefront. This means that companies should ensure that their website layout is professional, easy to read, easy to navigate and properly optimized. Social publishing – Social publishing allows companies to share content more effectively. Companies can post content that followers can read and then share with their personal social circles, thereby increasing exposure of the content. It also gives companies the chance to engage directly with consumers. Forms – Every website should contain forms that visitors can use to provide their information. These forms should be easy to read and to fill out – not to mention, easy to find. Calls-to-action – A call to action is a button or a link that convinces readers to fill in a form in order to download specialized content, such as a free eBook. Calls to action should be used on the homepage as well as towards the end of blog content. Landing pages – The landing page is the page to which the call-to-action should link to. It should contain nothing but the offer and the form. Contacts – All leads should be kept track of in a centralized marketing database. This will make it easier to optimize interactions with each lead in the future. CRM (customer relationship management) – A CRM system helps to facilitate a company’s sales by ensuring that the right information is available immediately in order to better engage with their prospects across all of their channels. 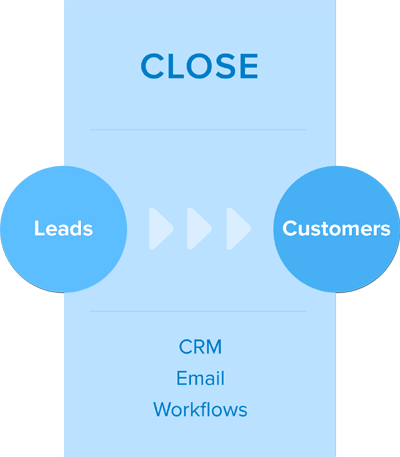 Closed-loop reporting – To make sure that the entire process is working efficiently and effectively, companies need to make sure that their marketing team and sales team are on the same page. This is known as closed-loop reporting. For example, if the marketing team has a different opinion on what the buyer persona is than the sales team, then the sales team is going to have trouble converting the leads that the marketing team is sending their way. 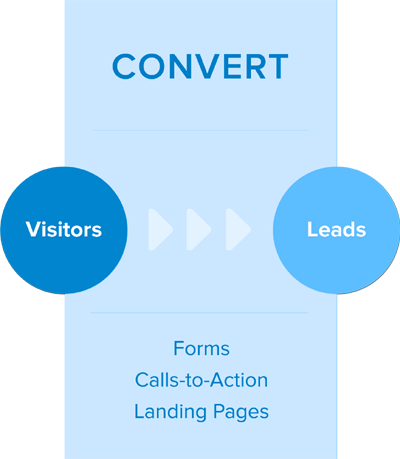 Email – Many of the visitors that have been converted into leads aren’t ready to become customers just yet. Companies should use email marketing, which consists of sending emails that contains useful and relevant content, in order to nurture these leads, helping to build trust and loyalty until they become ready to buy. Marketing automation – Marketing automation can make the sales process much more efficient. For example, if a visitor downloads a specific whitepaper, then the company can use marketing automation to automatically have a series of related emails sent to that visitor. 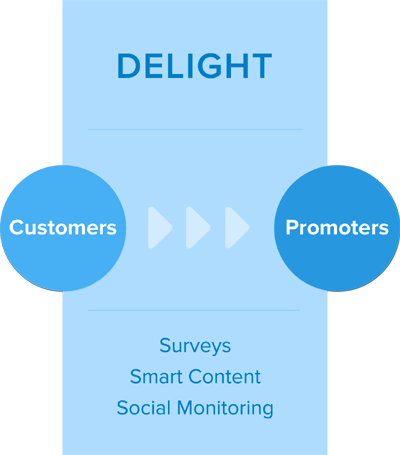 Surveys – One of the easiest ways to find out what will make a customer happy is by simply asking him or her. Surveys are a great way to get feedback that can help companies provide what customers want and need. Smart calls-to-action – Calls-to-action should change based on the buyer persona as well as the lifecycle stage. Smart text – Companies should continue to create content that is tailored to the interests and challenges of their existing customers and not just their prospects. This can be done by helping them to achieve their own goals in addition to introducing new features and products that they might be interested in. Social monitoring – Companies should keep track of what customers are saying on social media in regards to their likes and dislikes in order to guide them in the creation of content that will be relevant to them.